There was an article about our house in Seven Days recently. The reporter, Amy Lilly, wrote about our solar PV system… “Ponzio was able to get the panels and other equipment at wholesale prices and install them himself.” Does that leave you feeling like the cost of solar only makes sense if you can get it at a discount? Hey! That’s not right, and I want to show you. 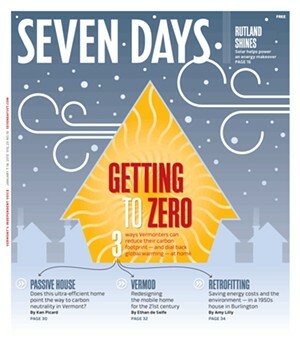 As part of a group of articles on zero energy, Seven Days wrote about our house. The author emphasized the ways that we try minimize the costs to take our house to zero energy. For many homes Zero is economical and affordable! First, a couple of finance concepts. Payback: a sneaky, nasty, bad word. I do not talk “payback”, and neither should you. It’s a concept uniquely unsuited to energy improvement expenditures, yet is insidiously bound to the popular idea of spending money to save money. Payback begins with the idea that once you have earned back an amount equal to the initial outlay, the transaction is over. But that’s not what efficiency spending is about. Efficiency is positioning ourselves to stop wasting. Efficiency doesn’t have an expiration date. The best efficiency work stops waste for generations. 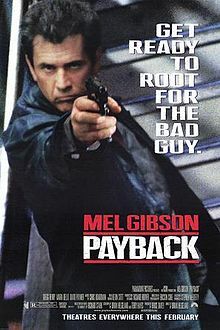 And that leads us to the second reason “payback” is a poisonous idea. The concept of “payback”, with the implication that a long payback period is bad, embraces a tolerance of waste. Payback… Yeah, it’s that bad. You can’t unwaste something once it’s gone. So, to stop waste, payback must be banished. Furthermore, “payback” is a highly-simplified, static concept that does not take into account the time value of money, inflation, rising energy costs, etc. As I said, uniquely unsuited… And finally, much of what you buy when you buy efficiency cannot be monetized. It has a very important value: maybe a higher value than anything that can be boiled down to dollars, but it cannot be expressed in the same unit as the price of the work and the reduction in energy bills. If you could put a price on things like comfort, independence, ethics, climate stability, good air quality… then maybe you could start to compare what you get against what you paid for it. But for sure “payback” is not going to be equal to that accounting. With investments one talks about the “return”. My retirement fund has a return of 6.6% Determine the return of energy investments and you can compare the value of energy improvements to the value of any other investment. The return on our solar system is about 7.5%. For all those reasons and more, there are several other financial concepts that are much better suited to efficiency work. Primary among them: investment. Money spent to reduce waste and to build your own power plant (in our case, the solar PV system on our roof) works exactly like an investment. You buy in, and you are paid dividends in the form of reduced energy expenditures. The measure of success for investments is return on investment (ROI). 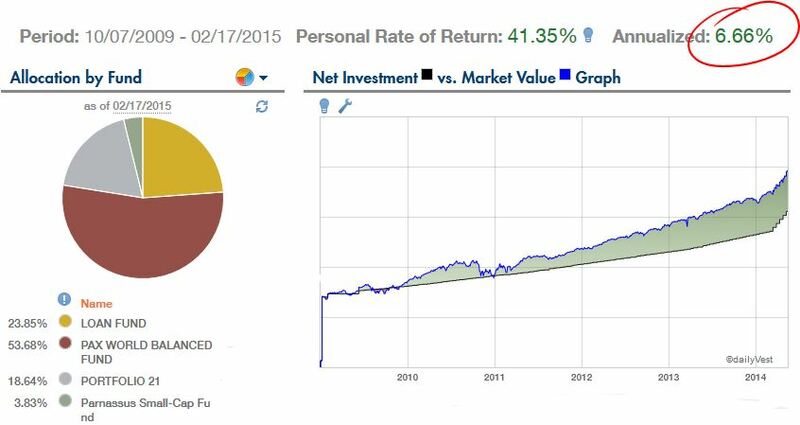 Simplified ROI is just the savings, or dividends, (usually over a year) divided by the cost (amount invested). This also doesn’t take into account the time value of money, but at least it recognizes that the return keeps going and going. Importantly, it’s gives you a chance to compare the value of efficiency investing against other things you could do with your money, like earn interest at the bank, or save for retirement in a 401k. Finally, my favorite way to talk about energy finances: cash flow. When folks say they can’t afford renewable energy, usually what they are saying is the amount I spend monthly on energy is as much as I’m comfortable spending. So the way one has to look at an investment in renewable energy, or efficiency, is how it changes that monthly (or quarterly, yearly…) spending. If you’re going to pay cash for your solar system, then this concept doesn’t come into play because money you spend from savings doesn’t change your cash flow. Then again, if you are paying for it from savings I would say you can afford it. Many folks get a loan to pay for their solar system. Now you have a direct way to compare money on both sides of the equation: loan payments vs. reduced energy cost. If your loan payment is lower than the value of the energy you save monthly you have positive cash flow, which means your solar system is paying you to not pollute. Cash flow is the only of these three measures that does take into account the time value of money. You can literally take positive cash flow to the bank. In this example from a new home, the total cost of loan service (mortgage) plus energy costs accelerates more quickly without the solar energy than with it. 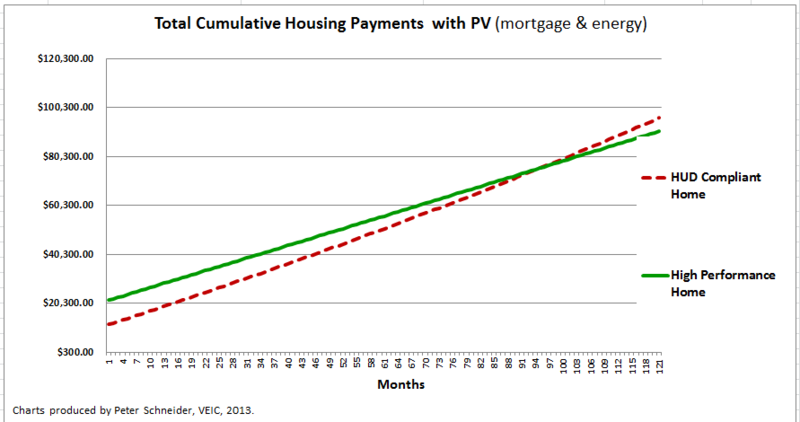 Although the monthly costs with PV start out being higher, because the energy costs are flatlined, over time the savings will more than make up for the early higher mortgage payment. Here the cumulative cash flow reverses around the 10 year mark. But there is one further concept, one that I made up, that I think is important to bring up in the context of energy improvements. It’s what I call cumulative cash flow. Truth be told, it’s a combination of payback and cash flow. Sometimes energy improvements do not have positive cash flow right out of the gate. Big energy projects are big budget, and people do this work for all kinds of reasons, not just money. So, let’s look at what happens to the cash flow over time. Because energy costs are inflating, a negative cash flow will diminish over time. Given enough time, the cash flow may reverse and become positive. But at that point you’ve already spent more being efficient than you would have spent over the same period being inefficient. Instead, I look further, to the point at which the accumulated cost of paying for your solar, or other energy project, is less than the accumulated cost of business as usual. Eventually the accumulated savings overcome the negative cash flow at the beginning. Obviously, the quicker this happens, the better. How do you know what you’ll get out of your solar system? The designer of the PV system provides a production estimate, which is a very reliable calculation of how much electricity the system will generate. Over time the system can be expected to suffer a small production decline. A conservative production estimate accounts for this decline. Contrary to what some might think, we did pay for our solar system. Nik contributed some of his hours, without billing the company, doing the electrical work, and perhaps there was a stocking charge that we did not have to pay. But we paid for the labor to install the panels on the roof, and of course we paid for all the hardware. I’d say the most benefit we got from having a solar engineer/designer/contractor do his own work is that we got the best system available at the time. We didn’t have to convince ourselves to go with the optimizers, or feel the need to get other proposals, or spend months doing our own research. We benefited from Nik’s insights and experience without questioning whether our solar contractor’s proposal was the best thing for us. We were able to pay some cash against our solar system, so the amount we borrowed was less than the cost of the whole system. We got a state incentive of $.65/watt, $6104. (The state incentive is no longer available. For regular homes it expired at the end of 2014.) And we got a federal tax credit of $8591, which we split up over two years because our one-year taxes were not high enough to claim the full credit in a single year. In the end the solar loan was $20,000 from a local credit union that gave us a good rate, 3.5% for 15 years. Fifteen years!? You might be thinking, 15 years until it pays for itself: why would anyone do that? May I refer you back to the second paragraph, above. The reason for a longish term on the loan is so the monthly payments are manageable. All the financial analysis around PV systems looks at a 25 year window, but there are 50-year old PV systems out there still making a respectable amount of electricity. Consider a car loan. While it’s not 15 years, it’s often for half or more of the life of the car. And a car never gives back! The monthly payment for our solar loan is $143. Based on how much electricity we have been making (exceeding the initial production estimate), the monthly value of the solar output is $177/month. Refer to paragraph four, above. Houston, we have positive cash flow. I believe you have a moral obligation to put solar on your roof, if you have a good roof for that. 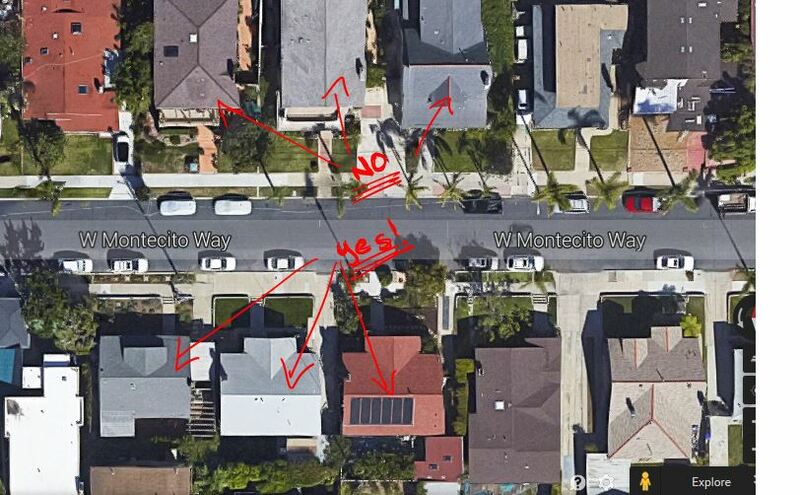 There are lots of places where PV won’t fit, or are shaded, or the roof can’t support it. If you’ve got a good roof, and net metering through your utility, do it! It’ll save you money and you’ll be doing the most with the roof god gave you. There are lots of uniquities about our project that wouldn’t be the same for yours: Nik’s donated labor, the cash we paid at the beginning that I didn’t account for, the state incentive that’s no longer available, the chimney that shades our panels, the higher efficiency and lower cost of newer panels, the pitch of your roof… Really, the list is endless. Some of them go your way, some don’t. But the underlying truth is the same for all applications. Solar is a great bargain, and if you value making your own non-polluting energy it doesn’t make sense not to do it. And, yes, the line you quoted from Lilly’s article did make me pause, although it was a point she would have been remiss not to make. In the end I’m glad she did because it led to this healthy dialectic. I also appreciated how clearly Lilly translated for lay readers like me the more technical aspects of your remarkable home! Thanks, Robert. Always appreciate your thoughtful reading. I’m grateful to have the knowledge and freedom to make decisions that support my values. The economic argument is for those who don’t. Nik pointed out that I calculated our return on investment based on the total cost of the system, not on the amount we actually paid. If you deduct the state incentive and the tax credit the return is actually better than 17%. Did you get that? 17%, it’s even better than the too-good-to-be-true rates Madoff was duping people with. Who do you trust more: the sun or an investment banker?